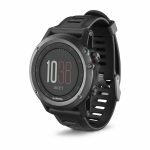 The Fenix 3 is a multisport training smartwatch for sports enthusiasts and athletes. It has a 1.2-inch �Chroma� display that is readable even in direct sunlight. The Fenix 3 can tap into a GPS/GLONASS satellite connection to track environments and maps even in the middle of nowhere. 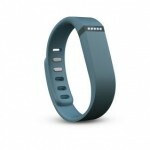 It also offers navigation and fitness tracking features. The Fenix is obviously the successor to the Fenix 2 and original Fenix smartwatches. Both had similar styles and functionality.